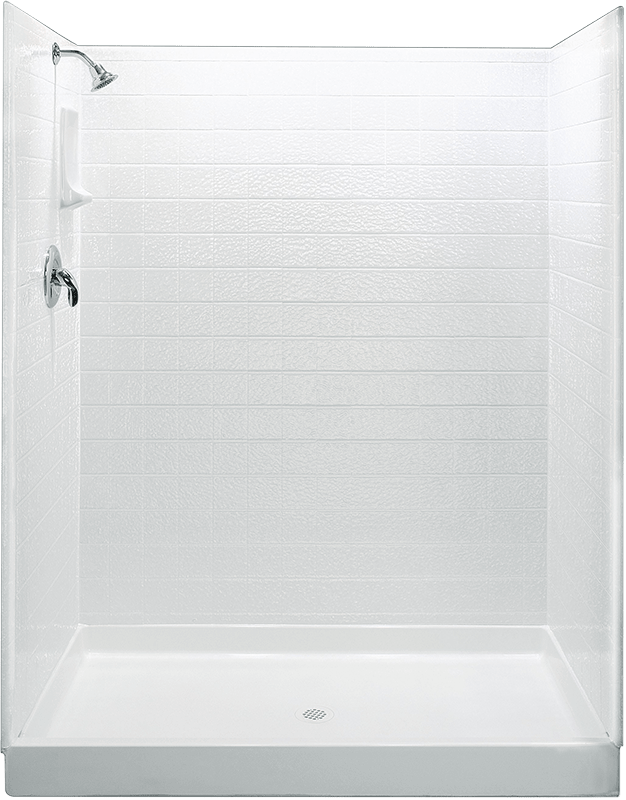 Our popular AmeriWall™ shower stalls are easy to install and carefully designed to fit most standard bathroom layouts. The affordably priced 2-wall shower wall kits are ideal for tight corner spaces or small bathrooms, while the 3-wall shower stalls are perfect for bathrooms with a larger footprint. Both our 2-wall and 3-wall shower enclosures come in a variety of models, sized to fit the specific requirements of your space. No matter what size you need, we have the perfect shower for your bathroom. We also use a high-gloss acrylic surface for our enclosures that is attractive, long lasting, and easy to clean. Installation kits for shower stalls come with a full set of instructions and are ready to install over existing drywall. The available standard sizes can be trimmed to ensure a perfect, seamless fit in any space. The stalls come with 3/4″ tapered bullnose enclosure walls, which help eliminate any water leakage and prevent outer wall damage. Interlocking walls ensure a secure installation and quality finish as well. By purchasing directly from the factory, you receive the best prices and fast shipping, putting you on the fast track to your dream bathroom. Please review all our bathroom shower stalls, kits, and accessories to help you create just the type of bathroom environment you need. 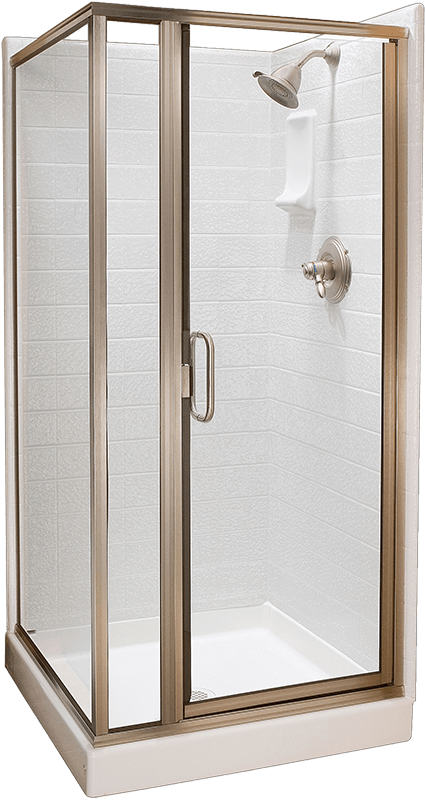 Feel free to contact us either by phone or through our online form for any questions related to shower enclosures if you need assistance for a custom order.